I hope you all had a great weekend! We had a very lazy and relaxing weekend, just what we needed after being stressed and on the go so much lately! It was the kind where you watch the last 6 episodes of Orange is the New Black all in one day. Perfection! On to the good stuff. I've been wanting to do this post for a while and sort of wrap it into a few Travel Tuesday posts to take advantage of how many places we've lived in the past couple of years and share some "insider" tips for those of you who may be making a trip! On the agenda: Pittsburgh, DC, and Charleston! 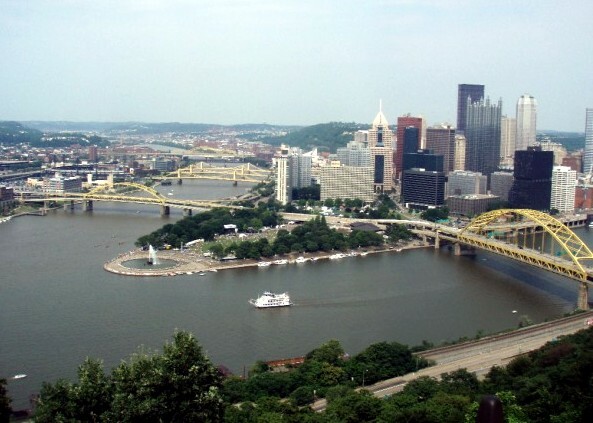 I know Pittsburgh isn't at the top of everyone's bucket list for a trip, but if you have a free weekend its a great place to visit, especially in the summer! Here is just a rundown of my favorite spots and restaurants you don't want to miss! The Pirates and Steelers stadiums are on the North Shore, right by the brand new casino if you're into that! Such an old photo! And easily the coldest game I've ever been to! The Pens arena is also brand new. I haven't been for a game yet but we took a look around inside and its so nice! If you're a hockey fan, definitely put this on your list! My goddaughter up close and personal with the tiger! 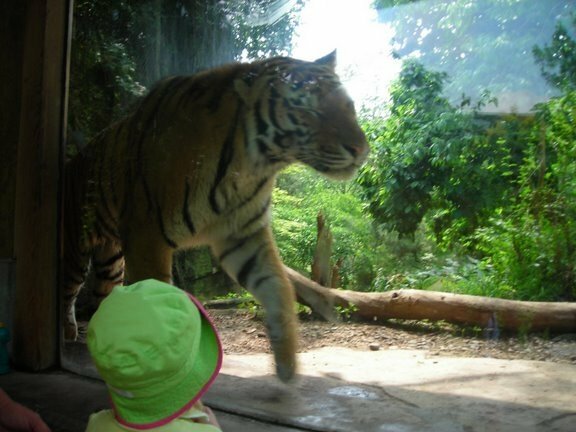 The Pittsburgh Zoo is definitely one of the top zoos in the country, even if you don't have kids with you. The Polar Bear exhibit is new and its definitely my favorite part! 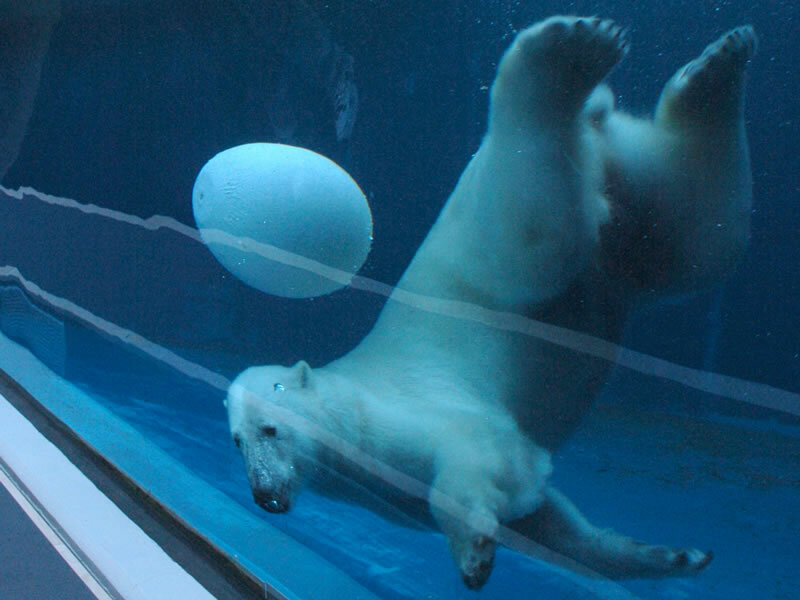 You can walk in a tunnel underneath the polar bears as they swim. 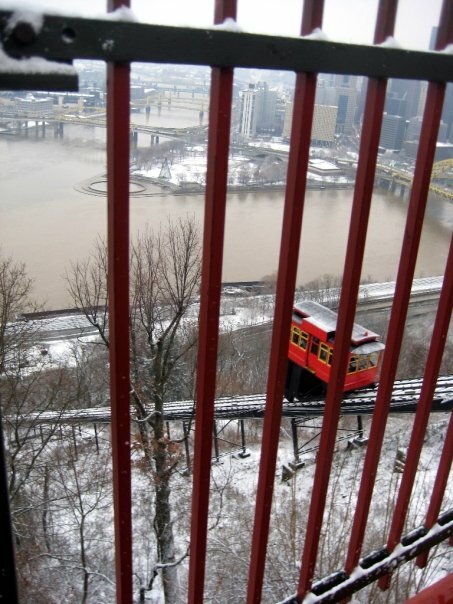 There are a couple different inclines and vantage points to see the city from Mount Washington, but I recommend the Duquesne Incline for the best view of the Three Rivers. The incline takes you from the Station Square area up to Mount Washington for a few bucks and it's worth the ride. I had to look in my photo archives for this one, I think I may have taken this with a disposable camera! ha! There are quite a few restaurants on Mt. Washington and if you bring your dog, it's a great area for a walk and a view! 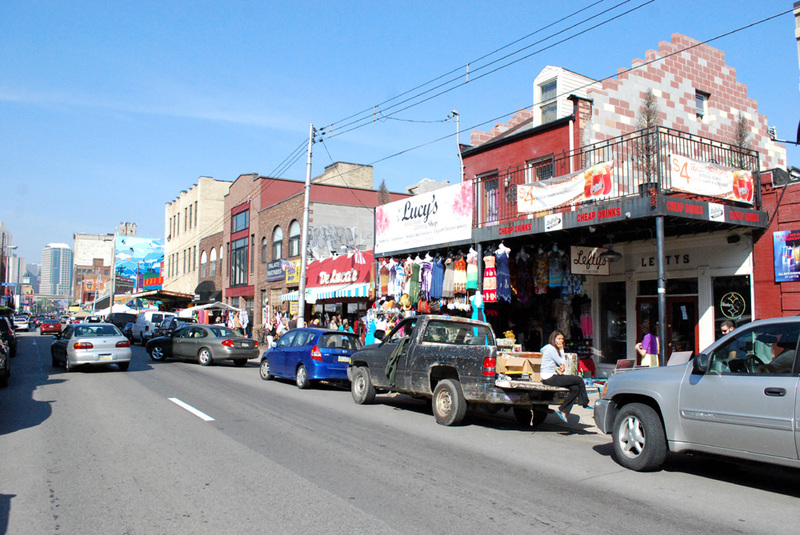 The Strip District is a gritty area of town that functions mostly in the mornings. There are tons of Pittsburgh memorabilia shops, Italian and Greek grocery stores, coffee shops, my favorite biscotti shop (get the bag of broken pieces, its cheap and delicious! ), a fish market, and sidewalk vendors. Head here for a whole row of bars, live music venues and delicious restaurants. My favorite is Nakama if you like a hibachi grill and sushi. There is another Primanti Brothers here in case you miss the original location in the Strip! The downtown area of Pittsburgh is very clean (compared to cities like NYC) and really well kept. "The Point" (Point State Park) is beautiful on a sunny day, there are lots of riverfront trails to walk or run and they have the Three Rivers Arts Festival every year there. The art scene is big there, and there are some beautiful theaters downtown if you like musicals, plays or the ballet. If you're visiting in the winter, make sure to stop by PPG Place for ice skating! Pittsburgh has great museums, including the Andy Warhol Museum, Carnegie Science Center, Children's Museum, Carnegie Museum of Natural History, the Mattress Factory (contemportary art), and the Heinz History Center. Pittsburgh has a subway-type system called the "T" which can connect you around the city and into the suburbs. I believe it's free if you're within the downtown area, but don't quote me on that because it's been a while! There are also a lot of parking garages all over if you bring a car. I'm sure I forgot some things so I may add to this as time goes on! 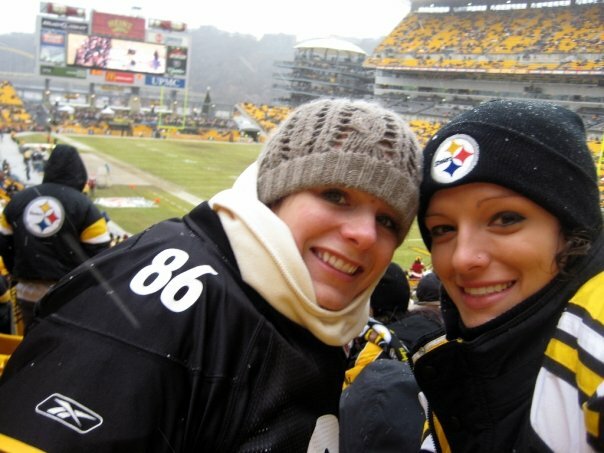 Has anyone been to Pittsburgh? I know there are a few of you from the area, would love to hear your favorite spots and restaurants too! Pittsburgh looks pretty fun!!!! 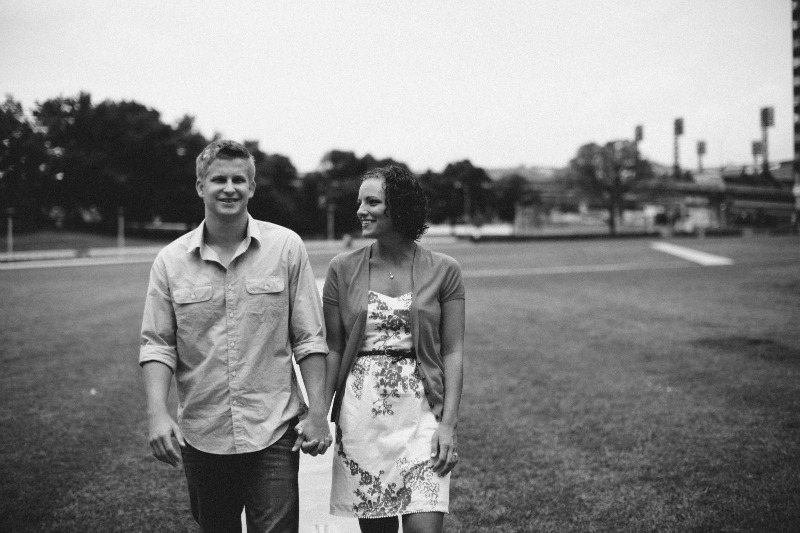 So....how did you get that one engagement pic of you two in the middle of the road? I love it! 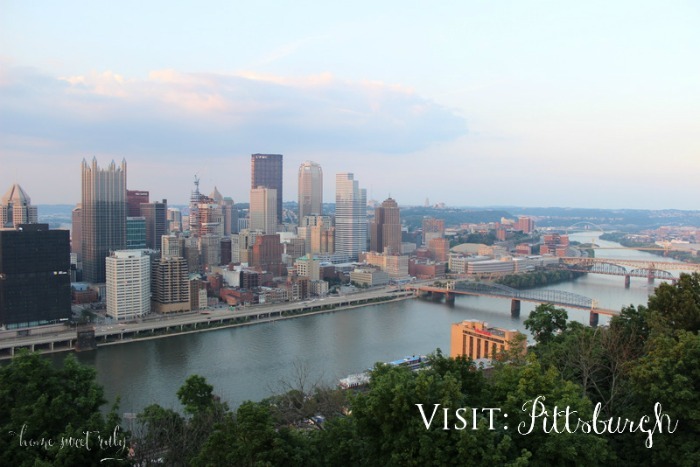 Great travel review - I've never been to Pittsburgh but sounds like I may need to check it out! And agreed that there's nothing better than a loungey weekend, with some Netflix binge watching. I had my OITNB bingefest a couple weeks back and I'm still going through serious withdrawl! How cute is that polar bear! I've never been there, looks like a neat city. Love your engagement pics! Pittsburgh is a great city and lately it has been compared to Portland. Also, visit Market Square on a nice night which is majorly updated with some great restaurants and not far from the Cultural District to Point State Park. Shadyside is a great area for shopping. Theo and I should take a trip with you guys to Pittsburgh one day! You would be an awesome tour guide! Looks like a fun city! In your beanie. I can only imagine how cold it gets but it looks like there's plenty to do! I've only been to Pittsburgh for work. Usually in the middle of winter. We spent many hours working but we stayed downtown and we went to some super nice restaurants. I always like to hear about cities from people who've lived there. Learn about the little things that you don't know just from one visit. We live just outside of Toronto and drive own to Pittsburgh a few times a year. 3 years ago, my husband proposed to me there. 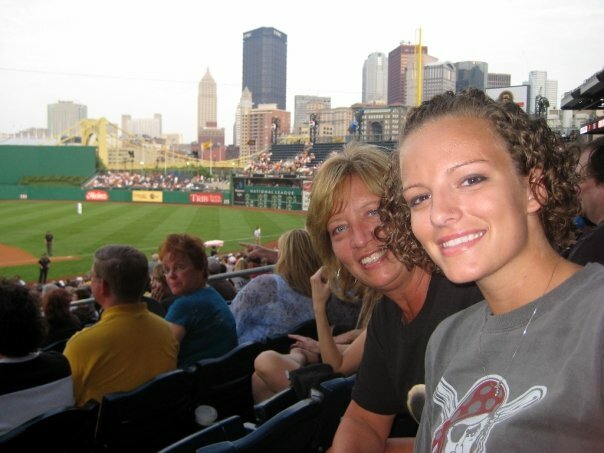 We love going to Pirates games and hope to catch a Steelers game soon too! 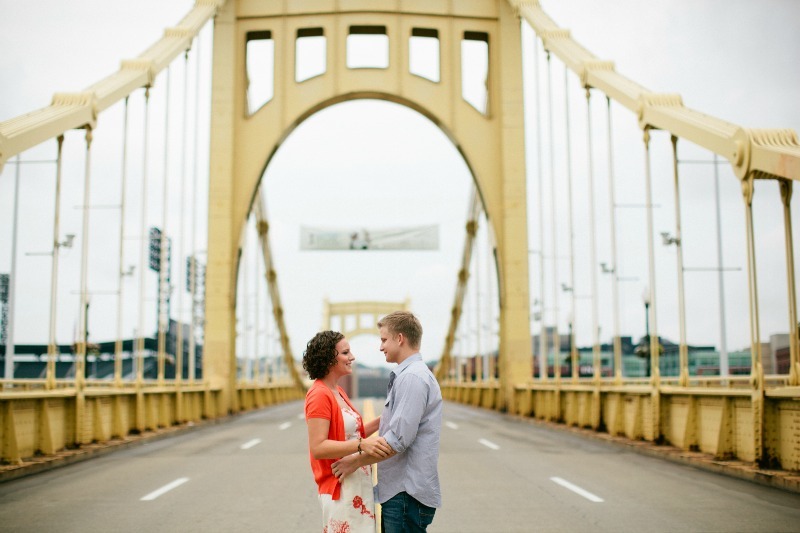 The bridges are so beautiful - your engagement pictures must have turned out lovely! We love going to Ross Park Mall, eating at Kings and Primantis, and enjoying the view from Mount Washington. So glad you wrote about this city! It's beautiful! Pittsburgh is awesome! I'm a PA girl and went to school about and hour from there. Best thing about Western PA is that the serve fries on their salads. I haven't found this anywhere else!